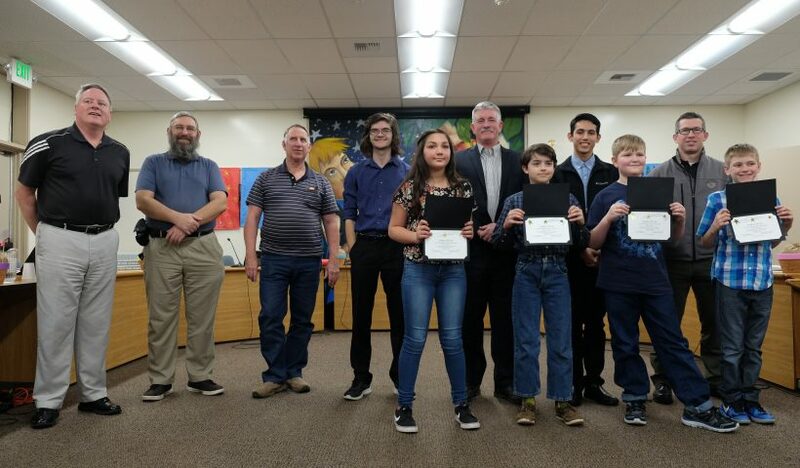 On Monday, the School Board honored Student All-Stars from Sunrise Elementary School for earning the highest scores on the 2015-16 state assessments in language arts, math and science. 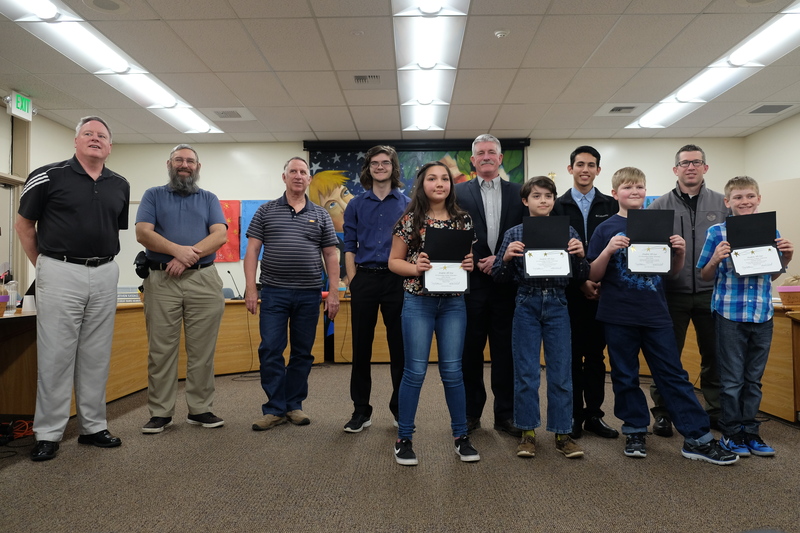 South Shore students (pictured from left) are Ariana Martinez, fifth-grade science; William Southwick, fourth-grade math; Quinn Turner, fourth-grade language arts; and Christian Wechter, third-grade mathematics. Not pictured: Aidan Downey, third-grade language arts; and Lawrence Howard, fifth-grade language arts and math.